Few artists in today's electronic space can claim the same depth and versatility as Andrew Bayer. He's produced some of the biggest Anjunabeats anthems of recent years, released albums of glitchy critically acclaimed electronica, and co-produced Above & Beyond's Group Therapy and We Are All We Need albums. In the background, he's also produced for leftfield bands, soundtracked short movies, and made himself an inspiration to both experienced and upcoming producers. After playing some of the world's greatest dance music arenas including Madison Square Garden, London's Brixton Academy, Ultra Music Festival in Miami, and the Ziggo Dome in Amsterdam, Andrew has shown that his unique, musical style can rock the biggest rooms around the world. Bayer was born in Washington D.C. but he has now called Boston, New York, Los Angeles, and London home. His young love of electronic music eventually lead him to the renowned Berklee College of Music, where he honed his production prowess, musicality, and developed the unique soundscape that he is known for today. 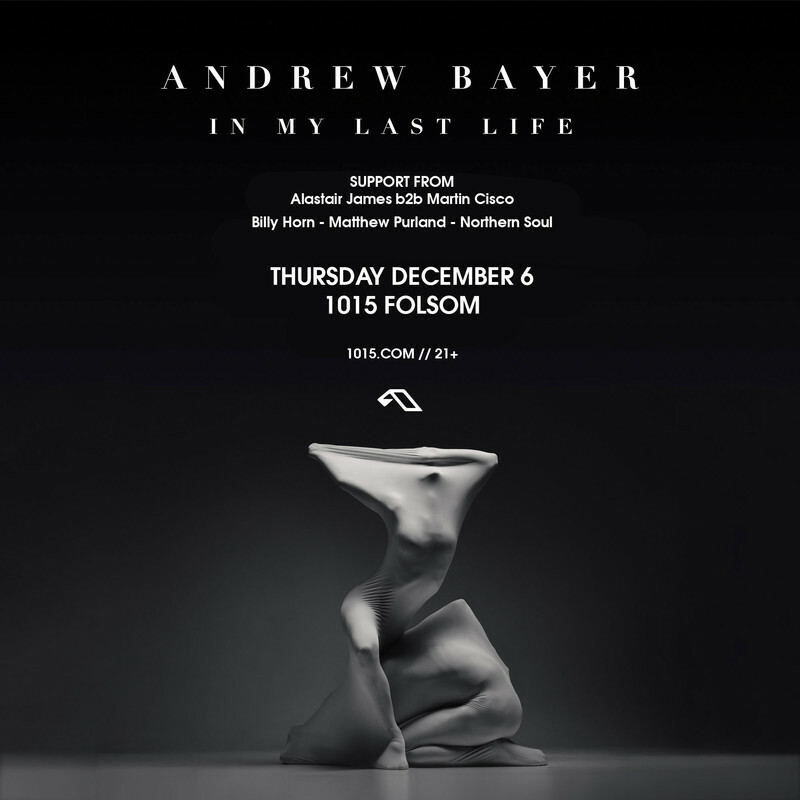 With his innovative approach to production and instinctive command of melody, Andrew has demonstrated expertise in almost every style of dance music including trance, progressive house, breaks, trip-hop, ambient, and everything in-between. Bayer has produced two full-length studio albums (2011's It's Artificial, 2013's If It Were You, We'd Never Leave) and a plethora of EPs during his career. His most recent EP was the ambitious 5-track 'Anamnesis" EP- a seamless journey through cinematic sounds, progressive textures, electronica influences, and big room energy. Continuing to progress as a DJ, producer and musician, and with a hotly anticipated third artist album on the way, Andrew Bayer is a name that will be at the forefront of dance music for years to come.